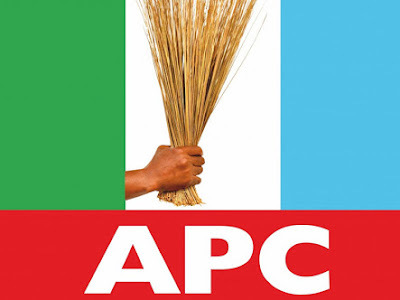 Tension has erupt in the Kwara State chapter of the All Progressives Congress (APC) over the adoption of mode for the party’s primaries as some concerned party foundation members in the state have asked the national leadership of the party to adopt the mode of consensus and zoning arrangement for the emergence of governorship candidate come 2019. They said the adoption of consensus and zoning will stem down bickering and foster unity amongst the party members in the state. Some elders of the party who recently defected from the Peoples Democratic Party (PDP) to the APC led by Alhaji Lasisi Jimoh, had on Wednesday in Ilorin, rejected the purported adoption of indirect primaries by the national leadership of the party for the emergence of the governorship candidate for the party. They described the development as tyrannical and would not produce effective result that can help the party to win the election. The party’s primaries are slated for Saturday nationwide by the APC. But while speaking with journalists in Ilorin yesterday, concerned foundation members of the party said that they have discovered through their interaction with the good people of the state that neither direct or indirect mode of primary will suit the party in Kwara State”. They stated that, “If we decided to conduct an indirect primary, people will push cash through cronies in our midst and buy as many delegates over to secure them party flags. “However, the direct primary on its case would have been better option but it’s demerits are equally staring us in the face because we have evidences that some imported elements from Osun, Oyo and other neighbouring states participated in the just concluded registration exercise in Kwara State. “It is clear from the foregoing that either direct or indirect mode of primaries, the party nomination process is open to compromise and the only and best option at this material time is the adoption of consensus and zoning arrangement in the forthcoming party primaries at all levels”. They explained further that the recent harmonisation process that produced executives from the wards, local government to the state levels have shown that through a well- planned, structured and programmed consensus mode of primaries which is supported by the party constitution, we can seamlessly produce all our standard bearers in the state”. The party leaders therefore noted that the consensus mode of primaries will help to stem unnecessary bickering within the party and will also foster unity amongst the party members.